I know, by now you have probably realized my vendetta against mosquitoes. While this is the last post in a series from Cutter Insect Repellents, I can assure you that our fight against these pests will continue all summer long! Here in Florida, mosquitoes are a constant threat and can easily ruin a perfect day out with family and friends. With the risks they pose, such as West Nile Virus and the fact that they feed on those who are pregnant and pale (yes that's me), there is nothing I wouldn't do to rid them from our lives. I have already shared some great Cutter products that we used to make our BBQ last weekend a huge bug-free success, but having the perfect summer outing is really as easy as 1,2,3. The Cutter three zone process is perfect for making sure you cover all your bases when it comes to annihilating mosquitoes. Step one is finding the right personal protection or spray to suit your needs. Cutter sent us two of their newest spray products. The first was the Cutter Natural Insect Repellent spray. This is made with oil from geraniums of all things and is a completely natural and DEET free formula. For those who like organic products or who prefer not to put DEET on their younger children, this is the perfect option. The boys loved it because they said it "smells like bubble gum." It does have a sweet smell to it, but works like a charm at keeping pests away for hours. The second product we were sent is my own personal favorite and I will never use another insect repellent again in my life. 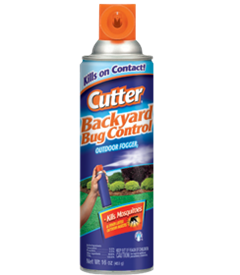 The Cutter Dry Insect Repellent goes on dry from an aerosol can with no grease or oil left behind. It has no smell at all, a lower amount of DEET than other products and repells a whole host of pests including mosquitoes. As I talked about in an earlier post, products like the CitroGuard Citronella Candle and Backyard Bug Fogger help eliminate mosquitoes from your deck and patio area quickly and easily, both before during and after your outdoor event. The candles are made with real oil and not just the scent of the oil, so they actually work at repelling pests. Both products are safe for children and pets to be around, although the fogger must be given time to dry before the area is used. 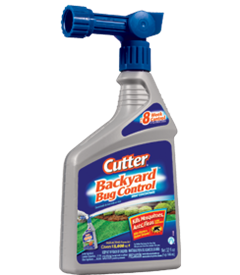 The last step in ensuring that you have the perfect summer BBQ, pool party, picnic or other gathering is to treat your yard with a product Cutter Backyard Bug Control Spray Concentrate. This can treat an area of 5,000 square feet with a single bottle and protects for up to 8 weeks. Once it is dry, it is also save for people and pets to go in the area and it protects against pests like fleas and ticks too! Looking for a more natural option, this spray is also available in the same natural formula listed above as well. 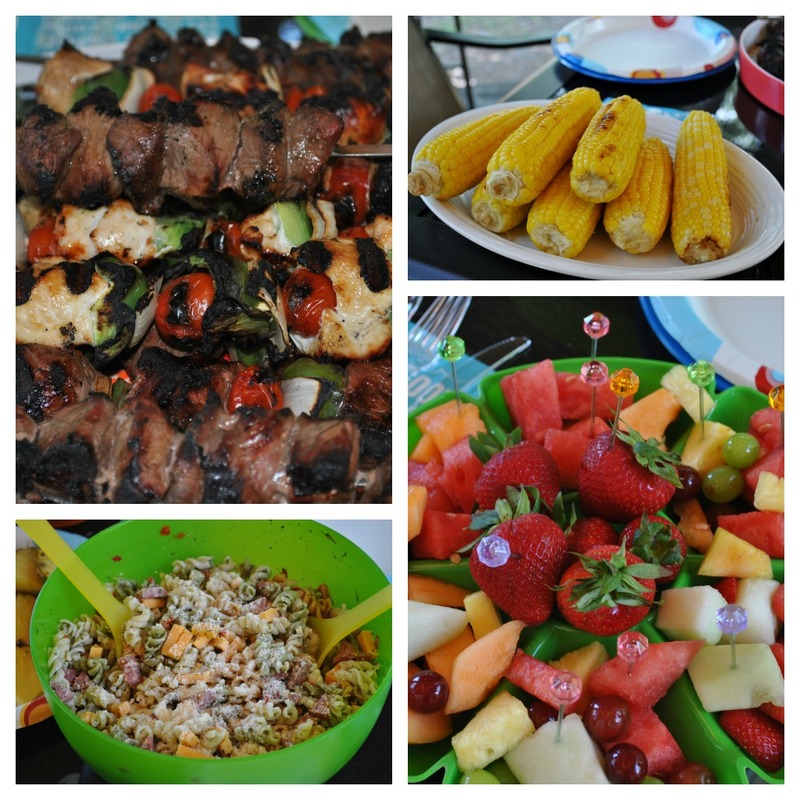 Okay, I know I said there were only 3 steps to the perfect summer BBQ with Cutter Insect Repellent products, but we can't forget about party time can we? Check out the fun we had thanks to Cutter providing a mosquito free area for our family. Tons of yummy food that we could eat in peace without having to worry about being bitten by bugs. 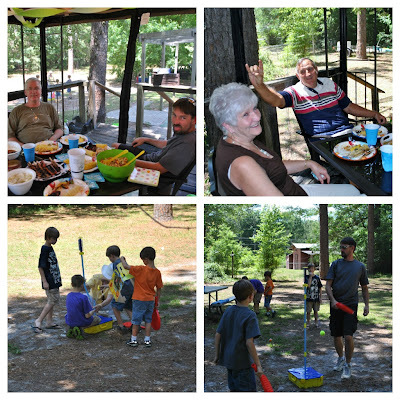 Outdoor fun with family and friends and not a bite in site! Are you planning outdoor parties or BBQ's this summer? If so, I suggest you run, don't walk, and head out to buy some Cutter products to help create some mosquito free fun for your family! I love that fruit platter. That's one thing about BBQs I don't like. I love to eat, but not get eaten by buggers! What a great looking barbeque! Your spread looks delicious! I hate bugs, ugh. That food looks so good! I need to try Cutter products. I could have sworn I commented here yesterday but I don't see it. I love cutter products -- we will always use it from now on! Wow - what a spread!